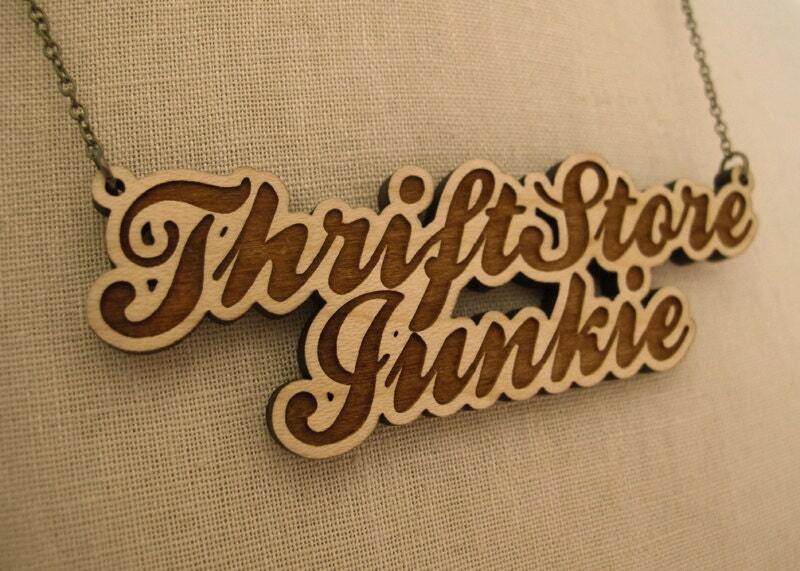 Are you a "Thrift Store Junkie"? or know someone who is? 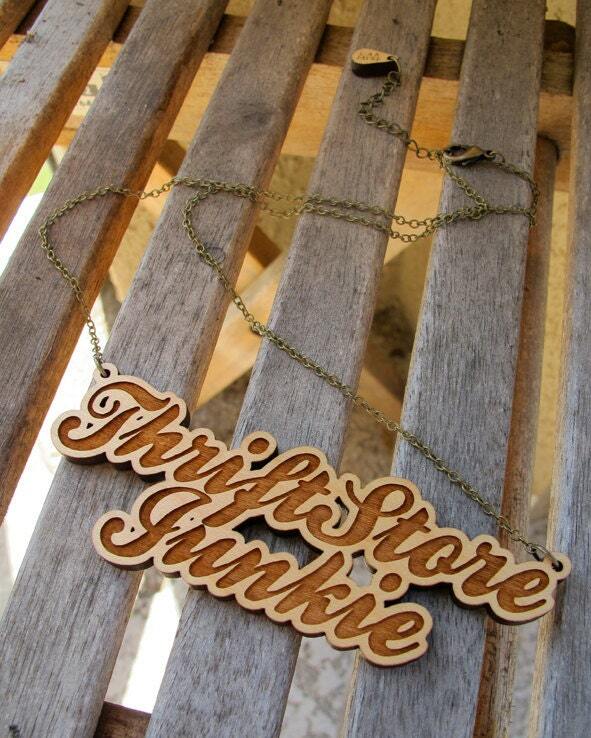 This piece is for those who love the hunt of finding an unexpected treasure at thrift shops, second-hand places, and vintage clothing stores. 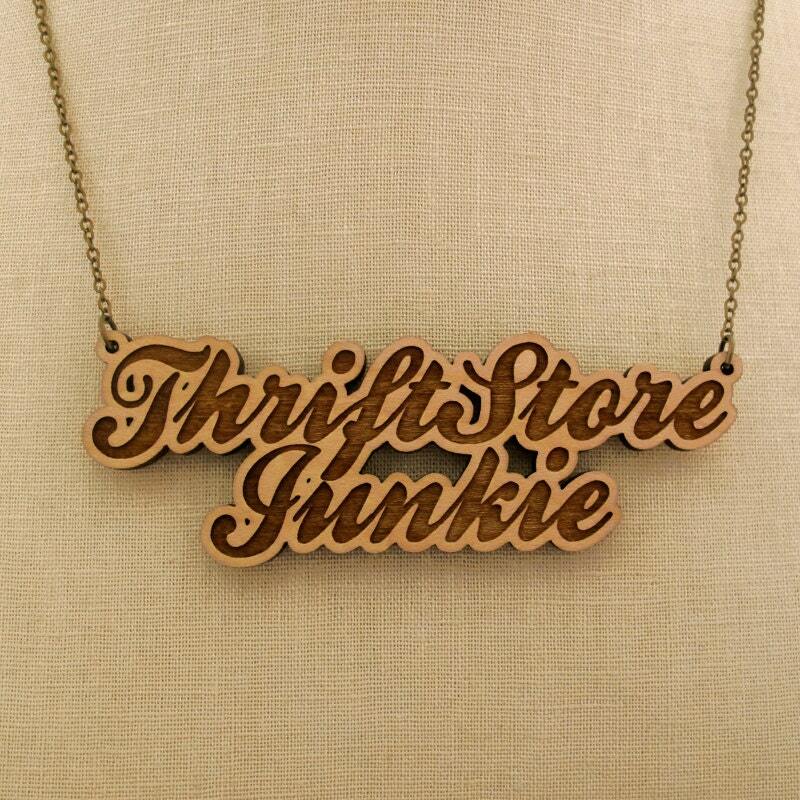 This necklace pendant has the words "Thrift Store Junkie" engraved in it. 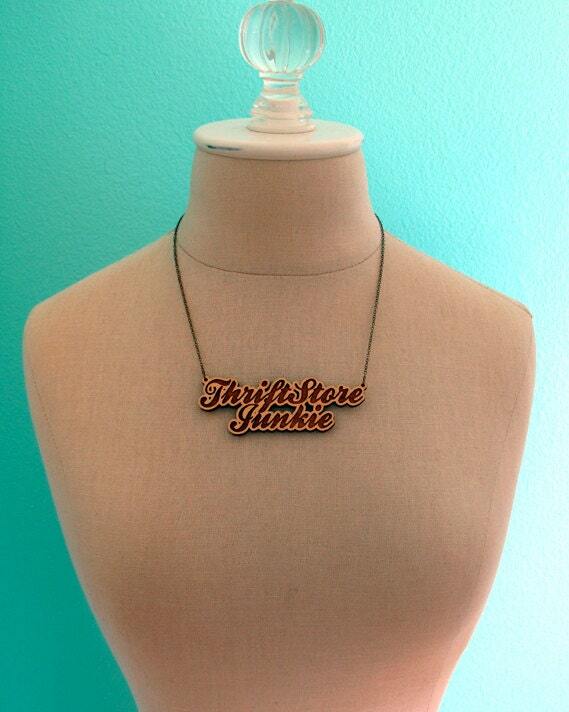 It is made of either 1/8" thick Acrylic, 1/16" thick Acrylic, or 1/8" thick Wood Laminate depending on the color you select.